We will read Psalm 72 on Sunday from the old 1984 translation of the New International Version because that version presents the psalm as promise rather than wish. The current NIV reads “May he be like rain falling on a mown field,” and the New Revised Standard Version reads similarly. ‘May’ is too soft a verb. It robs the prayer of passion. In our time, in our conflicted politics, it sounds more like a sigh than a song. I understand the translators’ choice. But the text is not just a relic of an ancient coronation rite; it is now deep in the canon of scripture. It now bears the divine word to a broken world. It preaches. It declares what kings and presidents ought to be – and what the reign of God will be. It stands against those who use their office to bless themselves and proclaims the promise of God to all creation. It summons us to live the faithfulness that is coming, to be participants in the blessing of the world. When we gather in worship and set this song next to the child of Bethlehem, the magi, and the murderous king, the song soars. We hear the yearning and joy of all heaven and earth: in the outstretched arms of Jesus is God’s true and lasting reign and the healing of the world. To him belongs the obeisance of the nations. To him belong the gifts of gold, frankincense and myrrh. In him is the end of every murderous regime. In him is the silencing of every deceitful tongue. In him is the end of the whip and the lash, the nails and the wood, the taunts and the dying. In him the grave is powerless. In him is the soft rain that brings life to the earth. Sunday we read this song that is prayer and promise and proclamation. We hear of the magi kneeling before the child of Bethlehem, and of the kings of this earth with the blood of children on their hands to prevent his rising. The voice of the prophet declares: “Arise, shine; for your light has come.” It is the feast of the epiphany, the feast of Christ revealed to the nations, the feast of light shining in the darkness. The wondrous grace of Christmas Eve blazes across the skies. And, yes, the shadow of the cross lies across the day: Herod echoes Pharaoh’s murderous attempt upon the children of Israel. But the child will live. The child will come forth out of Egypt. The child will settle in Nazareth. And in his outstretched arms all creation is born of God. and reign in justice and righteousness over a world made new. May he reign in us and in our world bringing his perfect peace. “Arise, shine; for your light has come, and the glory of the Lord has risen upon you.” – In the years after the return from exile, the prophet heralds a restoration of the nation: though Jerusalem and the temple are now only a pale reflection of their former glory, the Glory of God shall be upon them, the sons and daughters of Israel scattered throughout the ancient world shall return, and the people of all nations will make pilgrimage to “proclaim the praise of the LORD”. “Endow the king with your justice, O God, the royal son with your righteousness.” – A royal psalm, likely composed to celebrate the ascension of a new king, has become a promise of the anointed of God (Messiah/Christ) in whom all creation is made new. “This grace was given to me to bring to the Gentiles the news of the boundless riches of Christ.” – Paul is privileged to proclaim God’s plan, once hidden from our eyes but now revealed, to gather all people into one body in Christ. “After Jesus was born in Bethlehem of Judea, wise men from the East came to Jerusalem, asking, “Where is the child who has been born king of the Judeans?” – the visit of the magi, representing the nations coming to bow before the dawning reign of God in Christ, and his rejection by Herod and the Jerusalem elite who plot to murder the infant king. This is the message from our Christmas Eve service. Links to the texts for the evening can be found at the blog post:Great mercies for a world in need of mercy. Fidelity. The Sunday in Christmas shows us more of the faithful in Israel: Joseph and Mary fulfilling all that the law requires. Simeon and Anna waiting for the fulfillment of God’s promise. But even now the texts begin to move towards Epiphany. “The nations shall see your vindication, and all the kings your glory,” says the prophet – and though the prophet is speaking of the restoration of Jerusalem, all the nations shall see God’s saving work. Righteousness and praise shall spring up as certainly as the seeds sown in the garden. Fidelity and anticipation. Something big is happening. Something dramatic is occurring. God is fulfilling his promises. The wise elders see. The longed for day is come. The lowly are hearing good news proclaimed. Much of the Midwest is under a thick blanket of snow. 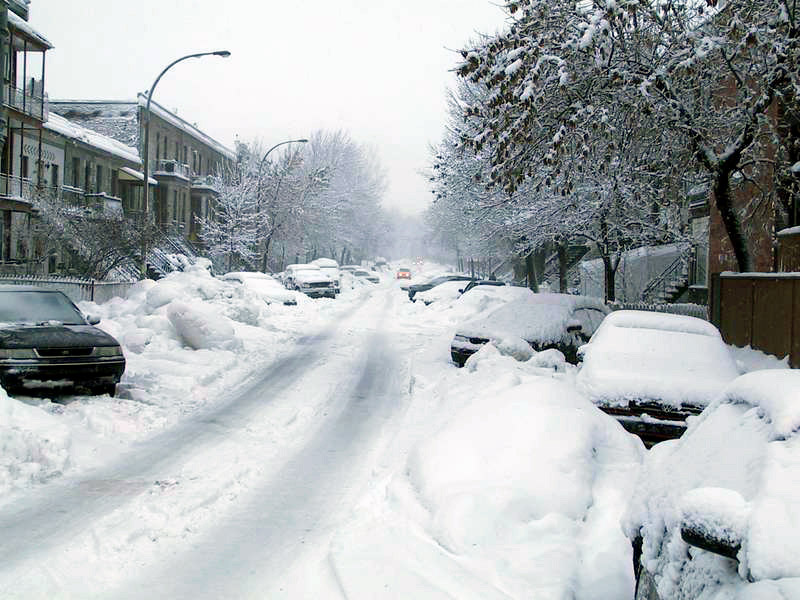 It was reported that Erie, Pennsylvania, received over five feet. Spring seems like an unthinkable promise when you are shoveling through such depths. But Simeon and Anna have eyes to see. And they testify to us of God’s faithfulness. The season has turned. The days are growing longer. The light is come. and share in its joy. “The Lord GOD will cause righteousness and praise to spring up before all the nations” – In the years after the return from exile, the prophet speaks to a discouraged and weary people of a vindication to come. Of course, the central story of the night is the remarkable birth during the imperial reign of the victorious Octavian – Caesar Augustus who was acclaimed as son of a god (son of the divine Julius Caesar) and savior of the world. Only this birth does not happen in Rome, but in a peasant home in Judea. Two kingdoms clash – not a game of thrones like Octavian’s Victory over Antony and Cleopatra, but two profoundly different claims upon the world: one a rule of might, the other of grace. Augustus will claim all things for himself – and Jesus will give himself for all. The “census” was a listing of all properties when Rome took over a region so Caesar could claim what he wished. It led to riots and brutal repression under Quirinius. But in a manger in Bethlehem lies a true prince of peace, a true light for our darkness. Light for our darkness. Peace for our world. The mystery of the incarnation. The wonder of “God with us”. Rich and abundant themes. Great mercies for a world in need of mercy. and know the fullness of your presence. Sister Marge. I knew her only for a short time while I lived in Toledo very early in my ministry, but I remember her. I met her through an interfaith center for peace and justice. Nuclear weapons were a central issue of the group. I remember calculating that the U.S. had the explosive equivalent of 2,000 pounds of dynamite for every man, woman and child in the country. It was unsettling to imagine 6,000 pounds in my basement (we had a newborn) and similar amounts in every basement in our neighborhood. It disturbs me that we are once again talking about growing rather than shrinking nuclear arsenals. I thought we had gotten past the illusion of naming such weapons “peacemaker” and pretending they were usable. Now you might expect me to say, in light of this text, that Sister Marge shone with a heavenly light, but that’s not really my point. There were two groups of people working together in this organization: those who were people of faith, and those who did not share any religious expression of faith. What struck me was the difference between these two groups. Both were deeply concerned about the threat of nuclear weapons, but there was a hope in those who were rooted in a faith tradition that seemed absent in the others. Perhaps this was just our particular group of people, but there seemed to be a sense among the people of faith that the human story was not in our hands alone. They feared humanity’s capacity for destruction, yet lived in the light of God’s goodness and love. All our stories are different. Some of us are more naturally optimistic; to others the world seems darker. Some have been made more fearful by life’s experiences; others emboldened. We have gifts that differ – and burdens. But people of faith stand on ground that has been warmed by the sun. The face of God, radiant with grace and love, shapes us. It eases the furrowed brow, it warms the spirit, it brightens the face as does the smile of a child, a friend, a beloved. Perhaps Sunday morning is nothing more than the child who calls out into the darkness at bedtime not really wanting water, just another glimpse of the parent’s face. I have written before about this psalm (in 2014 and 2015) and the question whether it should be heard as prayer or promise. On Epiphany Sunday, when the magi kneel and present their gifts, it becomes proclamation: this is the royal child in whom justice will reign and the earth bloom. But we are approaching the inauguration of a new president. A new congress has been seated. A new government is being formed. Actions are underway. And how shall we pray? Now the psalm is not looking only at the child of Bethlehem; now the psalm is speaking to a country and a world wondering what the new administration will bring. Now the psalm is closer to its original setting as a new king rises to power. Now it is a prayer – and in the praying is a message to the king about his role and responsibility. The psalm gives voice to our prayer. It speaks of our hopes from our leaders. But the prayer spoken in the hearing of the king becomes a reminder to the new king and those in power. What does God seek from those who govern? Justice. Faithfulness to the poor. The defense of the afflicted. Deliverance for the needy. Care of the earth that it may produce abundantly. Leadership that earns the respect and trust of the nations because it brings justice. This psalm has become for us a description of God’s reign among us. But it is also a description of what God expects of us. It is promise, but it is also calling. God’s reign is grace and favor; it is also call and command. In the Sundays to come we will hear Jesus speak to our obligation. The Sermon on the Mount is coming. But for now we offer the prayer. And we are sustained by the promise. For a child is born for us. Sunday our parish celebrates the feast of the Epiphany. Technically, the feast day is January 6th and Sunday the 8th should be the first Sunday after Epiphany, but Epiphany is too important to be left to a weekday. So we change the calendar. And we choose to read not only Matthew’s account of the kneeling Magi, but also the narrative of murderous Herod. Without the slaughter of the innocents, the drama and significance of this account is too easily lost from view. Empires are clashing. Kings are doing battle. The Empire of Rome v. the Empire of God – although a peasant child hardly seems like a player in the game of thrones. Later, when Matthew tells of Satan’s attempt to seduce the new king (the temptation of Jesus), we will see that the battle is not Herod versus an upstart king, or Rome versus a member of the Judean royal line: it is a struggle between God’s claim upon the world and the devil’s presumptive rule. But first there is the child and a destiny written in the heavens. First there are seekers looking for a world ruler of the house of Judah. First there is the testimony of the ancient prophets and the guidance of angels speaking through dreams. First is the drama and suspense of God’s work in the world. Christ is revealed to the nations. Something profound is happening. Something that will free the world from the debt of its sins. Light, life, just kingship, abundance, reconciliation, the gathering of all creation – and, too, the hostility from the rulers of this age – it all unfolds before us on this day when we rejoice in Christ revealed to all the earth, when we come with the magi to bow down and offer our loyalty and service to this newborn king. “Arise, shine; for your light has come, and the glory of the Lord has risen upon you.” – though the return from exile has failed to meet the nation’s expectations for glory, the prophet declares as present reality the fulfillment of God’s promise that all nations shall be drawn to the light of God present in Jerusalem. “Endow the king with your justice, O God, the royal son with your righteousness.” – an enthronement psalm whose idealized description of the king becomes a portrait and promise of the Messiah whose reign brings blessing to the world. “This grace was given to me to bring to the Gentiles the news of the boundless riches of Christ.” – God’s hidden plan now revealed to gather all people into one body in Christ. As noted last week, our parish departs from the appointed texts for the Christmas season in order to present the birth narratives with some integrity: reading Luke 2:1-20 on Christmas Eve (and John 1 on Christmas morning), then the remainder of Luke 2 on the Sunday in Christmas and the account of the Magi and Herod’s attempt to kill Jesus on the second Sunday after Christmas, celebrated as the Sunday of the Epiphany. The appointed readings for the first Sunday after Epiphany, January 8, 2017, are these for the Baptism of Our Lord and comment on them from 2014 can be found here. I don’t know why that little word ‘together’ affects me so much, but it does. The fallen stones of Jerusalem are summoned to sing together. The ruined city is to be a choir. We think so strongly of the faith as a personal affair. There is a whole tradition in American Christianity that asks whether you have accepted Christ Jesus as your personal Lord and savior. I understand the need for personal faith, but we could use a little more corporate faith. Our gathering on Sunday was small, as was expected. It was New Year’s Day, after all. The culture is busy recovering from other things. And there was the final decisive week of the NFL. Children are off school. People are traveling – some to family, others to vacation. I begrudge no one their observance of the Christmas break. But the stones sing together. The stones that comprise the once holy city, akimbo, broken, aged, disconnected, scarred by fire and sword, the stones are summoned to sing together. We are far from perfect stones for God’s holy temple. And I rather like the notion that we are hardly more than the rubble of a ruined city. But through the prophet God calls us to join our voices in praise, for God has drawn near to build such stones as these into his holy dwelling-place.